Thank you so much for visiting my blog today, I am showing you the card I made for the colour challenge from last Wednesday on the Facebook group Stampin' For All. 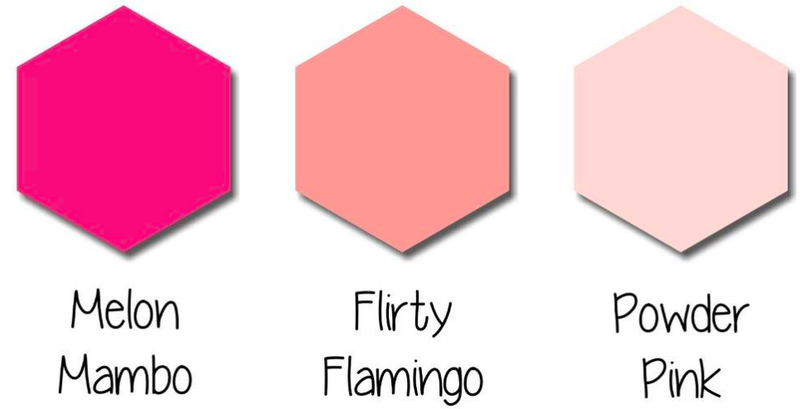 These are the 3 shades of pink we had to use and could add another colour as well. So I could have done a floral card with green stems ... instead I added another pink! I added the Lovely Lipstick Foil! I don't have the Melon Mambo ink pad but do have all the markers and as they have the same ink as the ink pads you can use them to stay with. Despite it being pink it was fun to do ...I make do it again in neutrals though!